So much of our landscape is covered in trees. While trees are wonderful at providing us with shade and seasonal change, the plants that grow underneath them must be able to tolerate shade while competing with the trees for water and nutrients. This means they must be tough. But for many of us, that is not enough. We crave color, and we want that color without giving up our tree canopy. Is it possible to have both? Sure, but remember that color is not just about having beautiful flowers. Variegated foliage can bring light to the darkness. 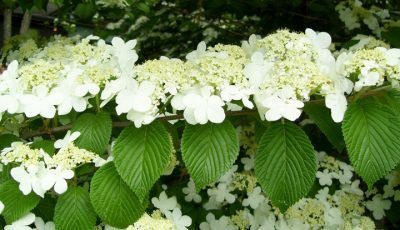 Consider incorporating some variegated plants into your shady landscape for this purpose. Variegated cast iron plant (Aspidistra elatior ‘Variegata’) will do just that. It has upright sword-like foliage that has creamy white streaks. It is evergreen and grows to be about 3 feet tall. While its flowers are insignificant, the white streaks add light. Other shade loving variegated evergreen plants include dwarf variegated Japanese aucuba (Aucuba japonica ‘Nana Variegata’) and other aucuba species, variegated gardenias (Gardenia jasminoides ‘Varigata’), variegated asiatic jasmine (Trachelospermum asiaticum ‘Winter Beauty’), and variegated bugleweed (Ajuga reptans ‘Silver Queen’) to name a few. Berries can add a lot of color to the landscape. Beautyberry (Callicarpa dichotoma ‘Early Amethyst’) is one of those plants. Its pinkish lavender berries from June through August followed by beautiful yellow fall leaves add a lot of color to a shady garden. Birds love this plant as well so expect some color of the “winged” variety to appear in the garden. 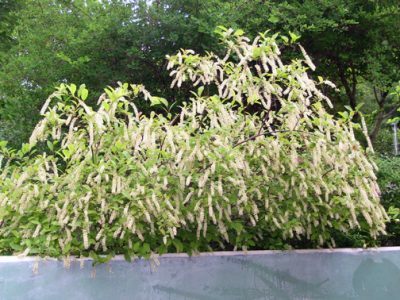 If you are one of those individuals who just wants something that will bloom in the shade other than an azalea or a camellia consider planting a Virginia sweetspire (Itea virginicus). 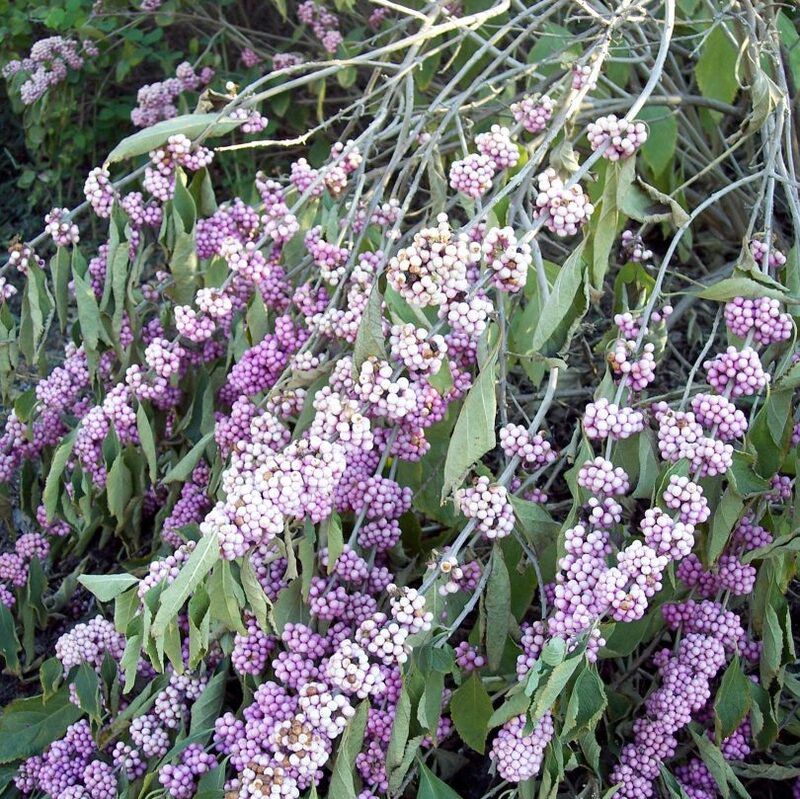 This native plant has white flowers in the spring and stunning red fall foliage. It will grow 3 to 5 feet tall and wide and has no major pest or disease problems. There are also some relatively new dwarf cultivars of the stunning double file viburnums (Viburnum plicatum var tomentosum ‘Popcorn’) that are worth incorporating into the garden. This multi stem deciduous shrub grows 5 to 7 feet tall and wide, has stunning white flowers in late spring followed by dark red berries that birds love. The fall foliage is red. This plant adds color to your garden over three seasons. A single plant is often hard to see in a big landscape. So to really make a bold colorful statement with plants in the shade mass them together in groups of three, five or seven. Then create a pattern and repeat, repeat, repeat. Unless your plant is a specimen that looks fantastic all year round, be sure to include more than just evergreen plants. Include those with seasonal interest so there is always something to look forward to. Michelle Wallace is the Consumer Horticulture Agent for the NC Cooperative Extension Service in Durham County.